I don't often do Primark as the nearest one to me is 14 miles away and even then there isn't a huge home section so while I was in Blackpool last week, I hit up the 5 story (yup!) Primark and raided the home section well and good. 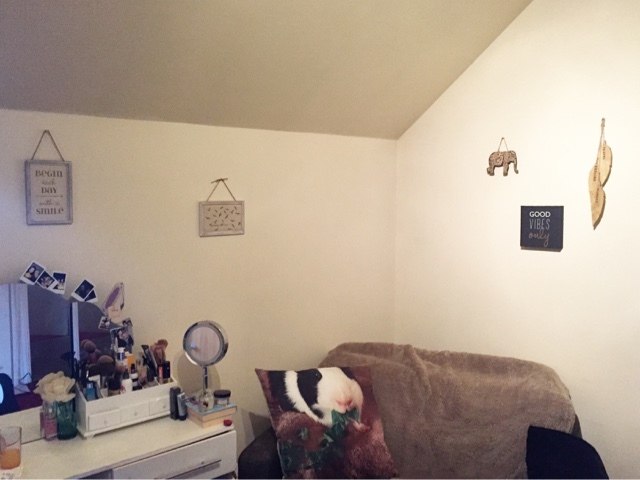 I've started to make our (what I call) spare-spare room into a mini dressing room with my dressing table and my beauty bits so I wanted to make it a bit more homely and cosy. All I had to base the room around was my white dressing table and a brown sofa so I knew that rustic was the way to go.. My favourite. 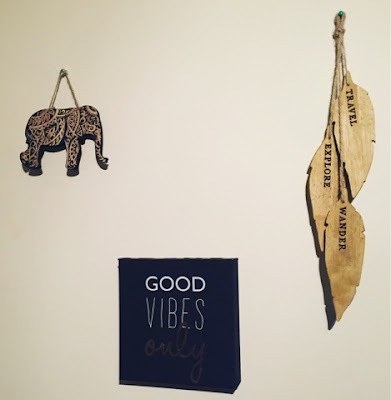 These 3 are perfect with each other and give off a "travel" vibe and anyone know knows me knows I love travelling, even have a love for hotel rooms and little B&Bs, no matter where. The black/wooden/gold theme stands brilliantly on my cream walls and leaf hanging is really different so I couldn't not pick it up. 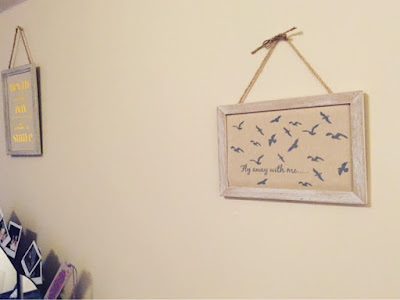 Both these wall hangings were £1 and stick with the wooden/rustic theme so make the wall above my dressing table a lot less boring. 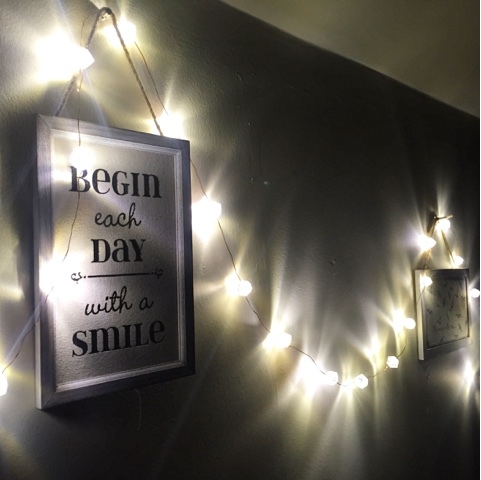 I also picked up some rose gold copper wire fairy lights for £4 which I've since draped over the two wall hangings for a little extra light over my mirror. They're surprisingly bright considering the cheap price.. And let's be honest, Primark!.. So I'll definitely be tracking down more of these. Everything was between £1-4 and they just top off my room perfectly. 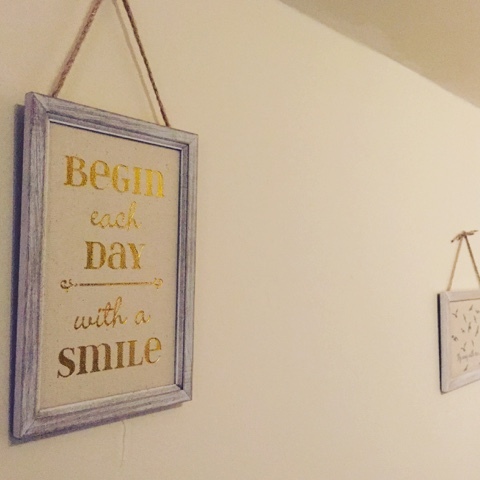 They're all small and simple but that's why I love them - just gives the room a little retro feel and a more welcoming vibe. Can't wait for my girls to visit so we can get ready with a glass of bubbly chilling in the new room.